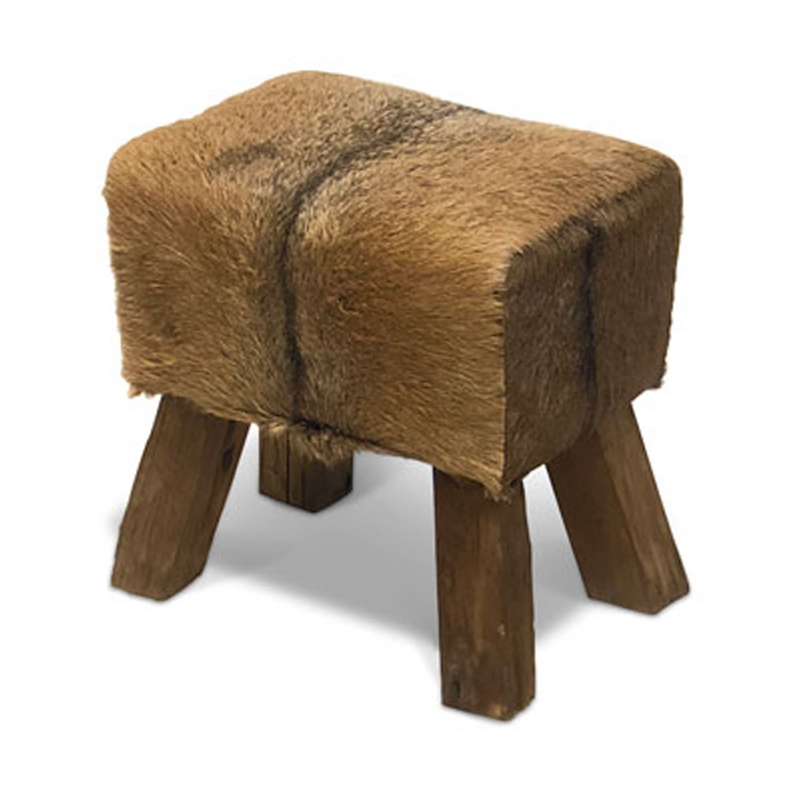 Make your home feel a lot more modern and original by introducing this fantastic Teak Root Stool Mini Pommel with Goat Skin. This piece has a gorgeous design that features four legs, holding up a splendid seat that's covered in goatskin. The combination of the goatskin and wooden materials creates a very distinctive and stylish look.